We need to do a better job of helping young people move from consumers to creators, and there is a push in that direction coming from many angles. Webmaker, from Mozilla, is fantastic. More and more game and code sites, that invite people to make, are opening up new possibilities for understanding the technology in a way that moves beyond the surface. I am a fan of visuals, and if you use Firefox browser, there is a real nifty tool built into the browser that let’s you see the web from an entirely different angle, showing the architecture of a site from all angles. 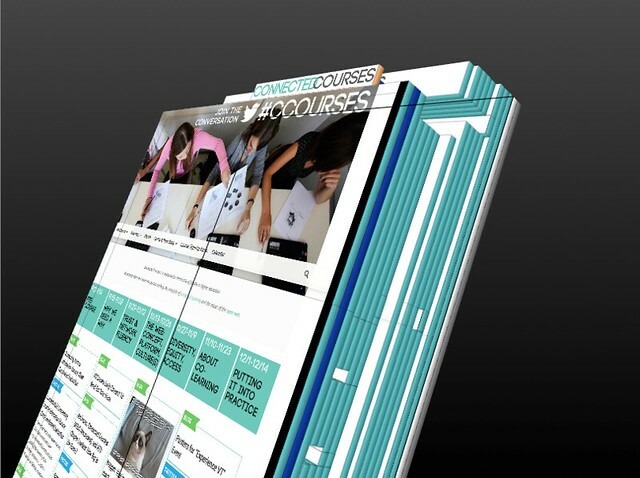 The architecture is constructed around hyperlinks, and layered pages, and more. Links are lifted up while plain text stays flat. And look at the layers behind it. Interesting, right? Want to know how to do it for your own blog? First, of all, you will need to using Firefox. On any page, right click and choose “page element.” If you are lucky, there will be a little source icon for the 3D that looks like a box or a Rubic’s Cube or something. 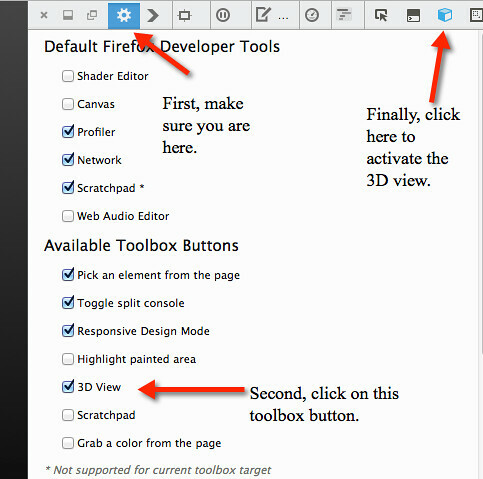 Click on the box and then use your mouse to zoom around the site, changing the viewpoint perspectives. If the 3D box does not appear, you need to activate it. Share out. What does this view say about the website? Does this change your view of the web? This entry was posted in CCourses, TeachtheWeb. Bookmark the permalink. Kevin this is fascinating!!!! Thank you! Fascinating is right ~ and it’s not just young people who need the literacy nudge. I’ve made that a regular feature in both community and education networks. Now I’m going to see what my own hub/blog looks like with it. WOW. Thank you for this. As soon as I read your post I immediately went to one of my blog posts and incorporated images – it really fit with my content. your instructions were great. very very very cool to see structure this way.